Show your Pride and Love to your Cat!! 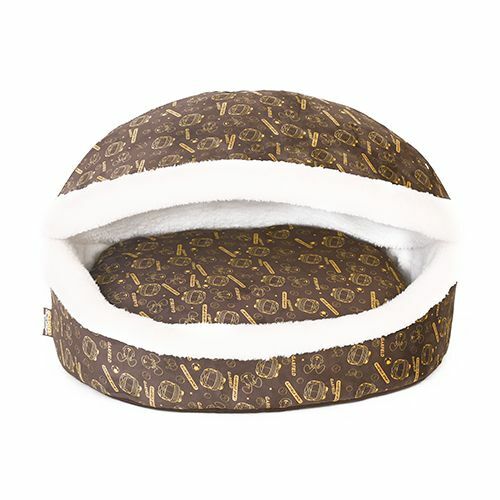 Your favorite cat and dog will love it very much.This Burger Bun Shaped pet bed give your cat or dog a warm house. Made by soft and high-quality material will keep your pet warm in cold days and feel comfortable. Space-saving design when dismantled (for storage). House with a pad, the pad can be taken out, so you can always clean it that let your favorite pet always had a clean and comfortable home. A perfect gift for you a pet lover. Also, it can be a great gift for your friends, family, relative, roommate a pet lover.